I have made this document into a free-to-download PDF. The free Adobe PDF Reader allows for simple movement between recipes and chapters using a hyperlinked table of contents and bookmarks, and to search easily by any word, any ingredient. You can also easily print out the book or sections of the book. I have used Amazon.com's CreateSpace print-on-demand company to create a paperback version of this cookbook, and it is for sale at cost (6.50$) via Amazon.com. It is 210 pages long. 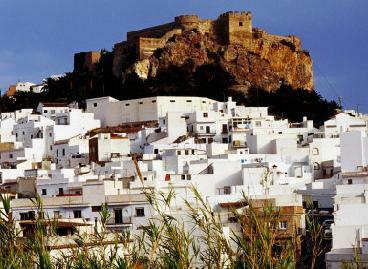 Much of what is unique about Sicilian cuisine comes from the early Arab-Moor colonizers of the island who brought with them new agricultural techniques, new plants and spices, and new cooking traditions. 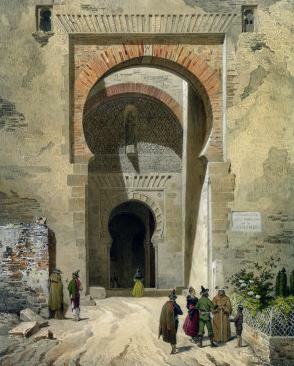 I have another page on this site that looks at the links between the Al Andalus (the same family ruled in Sicily) cuisine, well described in this ancient cookbook, and today's Sicilian cuisine and Italian cooking, and Sicily's Arabo-Sicula cuisine. This page is an separate introduction to this wonderful book, with a link to the free version I have created as a PDF book, that anyone can download from this site. I have other ancient (medieval) cookbooks on this site, too, if you are interested. 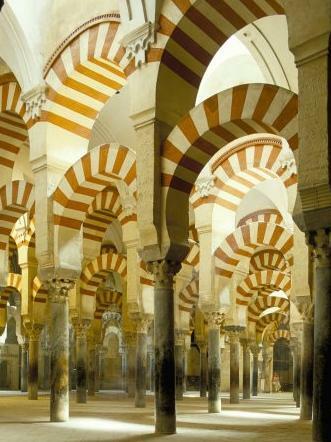 The English text of the book is a translation by Charles Perry, working from the original Arabic, a printed copy of the Arabic and its translation into Spanish, and assisted by an English translation by various persons translating collaboratively the text from Spanish to English. adding a complete Table of Contents and Appendices. Kitab al tabij fi-l-Maghrib wa-l-Andalus fi `asr al-Muwahhidin, li-mu'allif mayhul (or majhul). 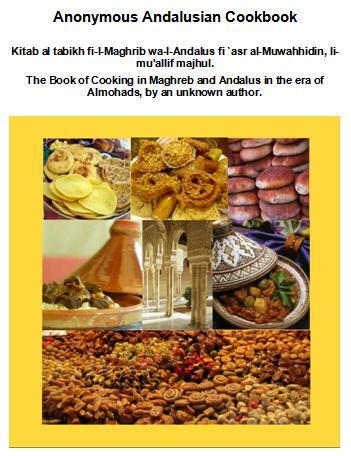 The Book of Cooking in Maghreb and Andalus in the era of Almohads, by an unknown author. The book was complied by a scribe in the 1400s, whose name appeared on the first page of the text, but the first page has not survived the ages. His work contains recipes copied from a number of older works in the 1200s, some surviving and some not surviving independently to today. The major part of the English translation is by Charles Perry, a scholar, food historian, and writer of a food column for the L.A. Times. Additional notes are by various other writers, including myself. corresponding with cooks in other households. Periodically, these cooks published their recipe collections for the honor of their patron, or for their own honor. Then scribes would copy the books for a client, or for the book’s owner to give to friends, or as a gift, or even just for posterity. This cookbook borrows directly from several well-known cookbooks, all from roughly the same period. One of these is by Muḥammad bin al-Ḥasan bin Muḥammad bin al-Karīm al-Baghdadi, usually called al-Baghdadi [d. 1239 AD], who compiled a cookbook called Kitab al-Ṭabīḫ, or The Book of Dishes, written in 1226. Some recipes come from cookbooks by the gastronome Abu Ishaq Ibrahim ibn al-Mahdi [b.779-d.839 CE], half-brother of the Caliph Harun al-Rashid. Some recipes come from cookbooks by authors unknown to us today. 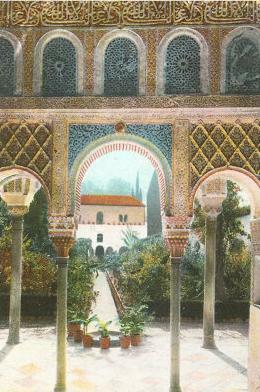 The Andalucía, or Al-Andalus, of the 1200s was not today’s southern region of Andalucía in Spain. 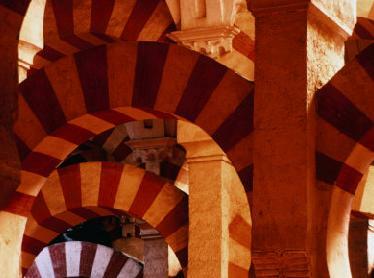 It was the name used for all of the territory controlled in Spain by Arab Muslims, originally from North Africa. 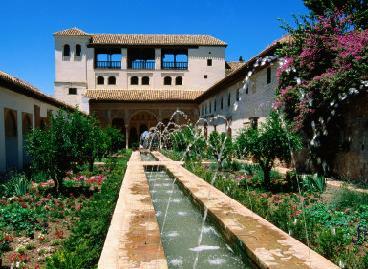 The major part of Spain, excluding only it’s Northern regions, was under Arab rule between 711 and 1492. 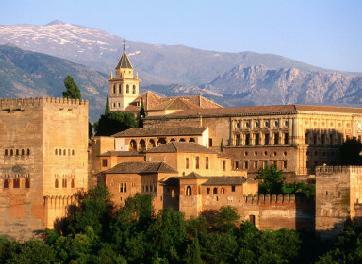 The Kingdom of Granada was the last area to fall to the Spanish-Catholic monarchs Ferdinand and Isabella in what Spain calls a ‘re-conquest’ of their territory. The defeated Muslims call it a barbarous tragedy. 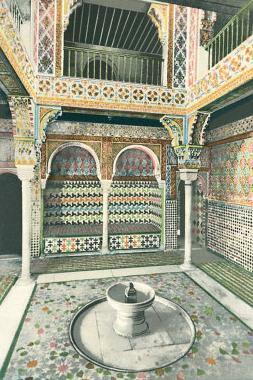 Some Moroccan families still retain, in a prominent place in their Moroccan homes, the key to their ancestors’ family home that was taken from them in Al-Andalus during that period. 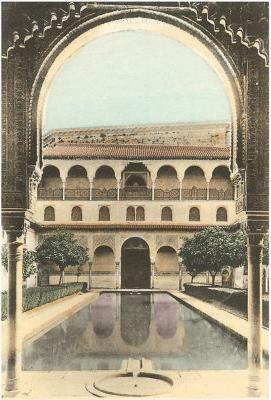 Al-Andalus was renowned for its centers of learning, beautiful architecture, and religious tolerance (http://en.wikipedia.org/wiki/Al-Andalus). 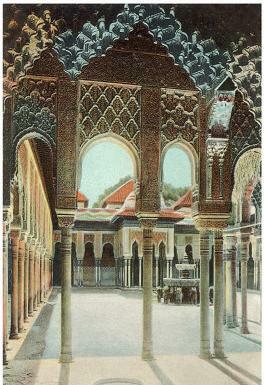 You’ll note several Jewish recipes in this cookbook because there was a large Jewish population in Al-Andalus. 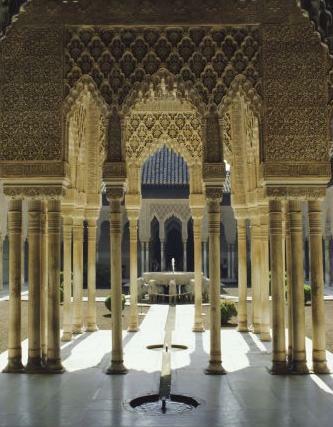 The severe persecution of this minority group began only under Ferdinand and Isabella, the Catholic monarchs who fought for the expulsion, or mass-conversions, or murder of those of Muslim and Jewish faiths. 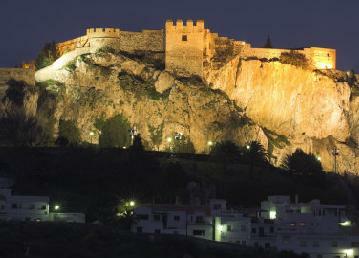 There are also recipes from other regions that were under Muslim control, such as Sicily. The oldest cuisine in the world (a cuisine being a documented cooking of a settled people) is the Persian cuisine, which like the Persian Empire, stretches back to nearly 1000 BC. Many elements of Persian cuisine appear throughout the Near East and North Africa, and they appear in this cookbook as well. 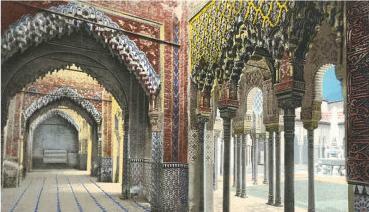 And many elements of the Persian and the Al-Andalus cuisines appear in the early European cookbooks. One of the earliest we have is from ancient Rome, by the cook Apicius. His recipes are very similar to the recipes in this cookbook. the advent of mass cultivation and food production made lesser used foodstuffs, and more expensive, and all but disappear. 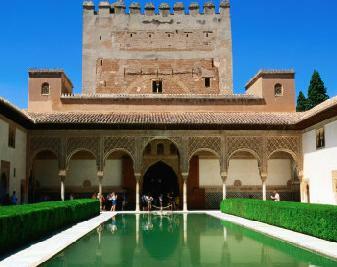 Today, many of the dishes reported in this 13th century Al-Andalus cookbook are enjoyed by families in Andalucía, Sicily, Sardinia, and all the territories that formerly belonged to the Moorish monarchs, especially in Morocco. The recipes for bread, actually, are common throughout Asia. The sausages and meat patties are common throughout these areas and beyond, but in this predominantly Muslim cookbook, none are made with pork. Pork is a common meat in today’s non-Muslim regions. But you will find goat, lamb and mutton recipes, along with lots of chicken, egg, eggplant and fish recipes that are very similar to recipes still used throughout Southern Europe, as well as Italian frittatas, fresh and dried pasta, and the calzone. custards, puddings, rice pudding, fritters, somosas, taffy and gum drops. The recipes reported here are mainly of historical interest, but there will be some hardy hobbyists who will try to follow them. 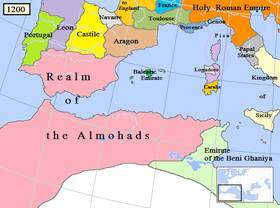 For you, here is a tip: some of the Moors of Al-Andalus managed to leave, most going across the straights of Gibraltar to North Africa, to Morocco. So, most of the dishes in this cookbook are still made today in Morocco, famous for its very traditional cuisine. Just search for the corresponding Moroccan recipe, and you’ll find precise measurements of modern ingredients and easy-to-follow instructions. The amounts given for ingredients, when amounts are given, are generally large, since the cooks who were using these recipes were cooking for large households, and they were working with freshly slaughtered animals. Often no amounts are given at all for ingredients, which means you will have to use your best judgment, and adjust the recipe according to how the first try comes out, so the second try will be better. Oil is rarely specified as being olive oil. A general rule of thumb today in the Mediterranean is that for meat, fish and vegetables, olive oil is used. For sweets, generally animal fat or vegetable oil is used, such as sesame oil [not the Chinese condiment] or sunflower oil. For some sweets recipes, you might even want to use walnut or hazelnut oil. In Andalucía, they use a very light variety of olive oil (the very last pressing, pomace) for frying sweets and meat pastries. Andi in Morrocco, they use Argan oil at times, and often mix peanut oil with olive oil if the cooking is at a very high temperature, because peanut oil doesn't burn in the high heat. There is a lot of oil used in these recipes, much more than we are used to today. With our sedentary lives, central heating, air conditioning, and the internal combustion engine, we do not need all the calories they needed in 1200. You should consider using less oil than specified in the recipes, when you can get away with it. Some of the herbs mentioned and condiments in the recipes are no longer easily available, so some substitutions may be necessary. I have put a translators' list of some terms and some ingredients in the Appendix, along with some ideas for substitutions for the rarer ones. Salt is rarely mentioned in the recipes. This does not necessarily mean they did not use salt. The murri condiment they used so often was salty. And it was probably assumed that the dish would be further seasoned either at the table by the people before they ate it, or by the chef just before the dish was served. This is not unusual, especially for meat dishes, because when salt is applied to meat before it has finished cooking, it can draw out moisture and make the meat dry and tough. You will have to season the dishes with salt to your own tastes. The recipes are often labor-intensive. My thanks to all who worked on translating this book, and for putting it free on the Internet. That was very generous of you. I, too, offer this PDF version of the book that I have edited and rearranged, free to all who wish to download it, and the print copy at cost. I hope you enjoy a taste of the Mediterranean’s past, and if you are brave enough (or foolish enough, perhaps?) to try to cook these dishes, I hope they come out well. The Governor and admiral of Ceuta, son of the Almohada Caliph Yusuf I, was treated to this calf stuffed with a lamb, stuffed with various birds, stuffed with smaller various birds. It think of it as a Russian doll dish. “Take a young, plump lamb, skinned and cleaned. Make a narrow opening between the thighs and carefully take out everything inside of it of its entrails. Then put in the interior a roasted goose and into its belly a roasted hen and in the belly of the hen a roasted pigeon and in the belly of the pigeon a roasted starling and in the belly of this a small bird, roasted or fried. All this is roasted and greased with the sauce described for roasting. Sew up this opening and place the ram in a hot tannur [clay oven] and leave it until it is done and browned. Paint it with that sauce and then place it in the body cavity of a calf which has been prepared clean. Sew it up and place it in the hot tannur [clay oven] and leave it until it is done and browned. It seems that meals for the exalted in that era were never just meals; they were entertainment, too, and very hard work for the cooking staff! The Miscellany, a self-published book by that includes several hundred period recipes, original and worked out versions, a fair number of which are from the Islamic and Italian sources. Moroccan recipes from Recipe Zaar. Al-Bab.com's links to recipes and much more about Moroccan food. Over 300 Astray's Moroccan recipes.